Lamborghini PoloStorico participates for the first time at Rétromobile 2017, the international classic car exhibition held in Paris from 8 to 12 February. 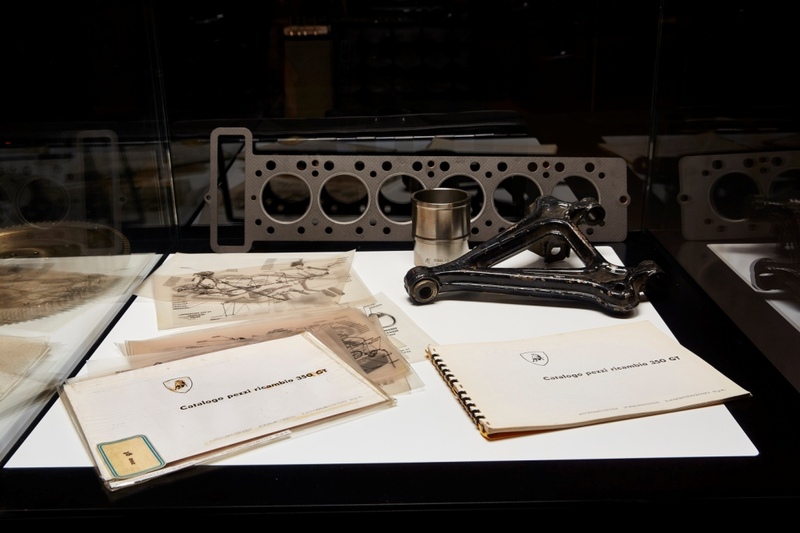 The Lamborghini 350 GT chassis number 0121, one of the first fifteen examples produced by Automobili Lamborghini and the first 350 GT to be restored by Lamborghini PoloStorico, is on public display for the first time at the PoloStorico stand. The restoration of the bodywork and interior took 1150 hours, plus 780 additional hours for checking mechanical and electrical functions. 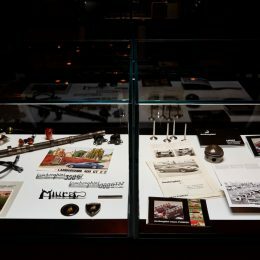 These operations brought the car back to its original beauty according to a very precise philosophy of restoration: Lamborghini PoloStorico always strives to maintain the car’s originality as much as possible, and the conservation work involves exclusive use of original Lamborghini parts, specially reconstructed in certain instances. The parts reconstruction process is enhanced where possible by seeking out the historical suppliers and using the original technical drawings and designs. 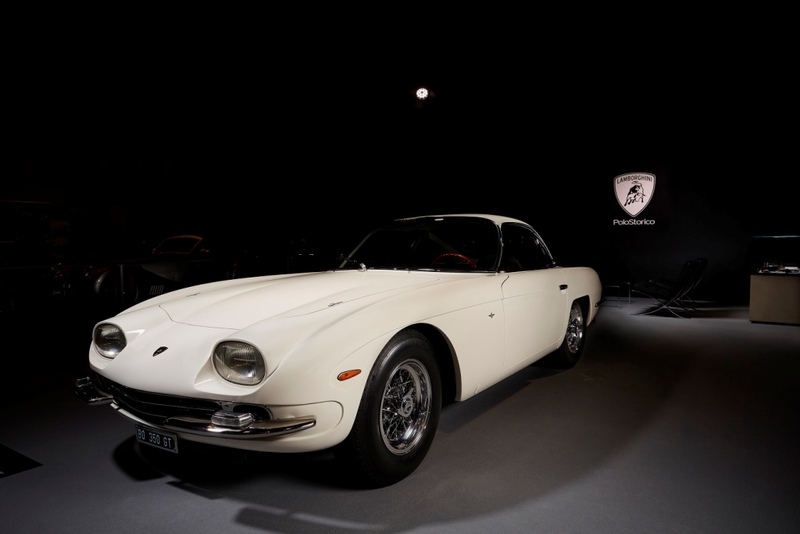 For the 350 GT on display at Rétromobile 2017, particular attention was given to reworking the engine cooling system, the braking system, and the fuel system, to ensure safety as well as authenticity. Concluding the restoration process, a track test revealed excellent balance and overall performance, with precise gear changes and effective, reliable braking, even under the stress of the track. The black leather interiors were refurbished using the classic procedures of the era, and the wooden steering wheel and the original accelerator, clutch, and brake pedals were restored maintaining the small signs of wear. The radio too is original and still functions perfectly, just as in 1964 when the car was delivered to its first owner. The 350 GT was painted during the restoration using the same techniques and formula as the original nitroacrylic paint, giving it a particularly elegant look and accentuating its lines. The original rims were restored and authenticated by the original supplier, Ruote Borrani of Milan, and the car fitted with Pirelli Cinturato 205 R15 tires just as in the original version. The original ornaments and marks carefully conserved by the devoted owner complete the authenticity of the car. This is the fourth full restoration project carried out by Lamborghini PoloStorico, following a Miura, an LM002 and a Countach. 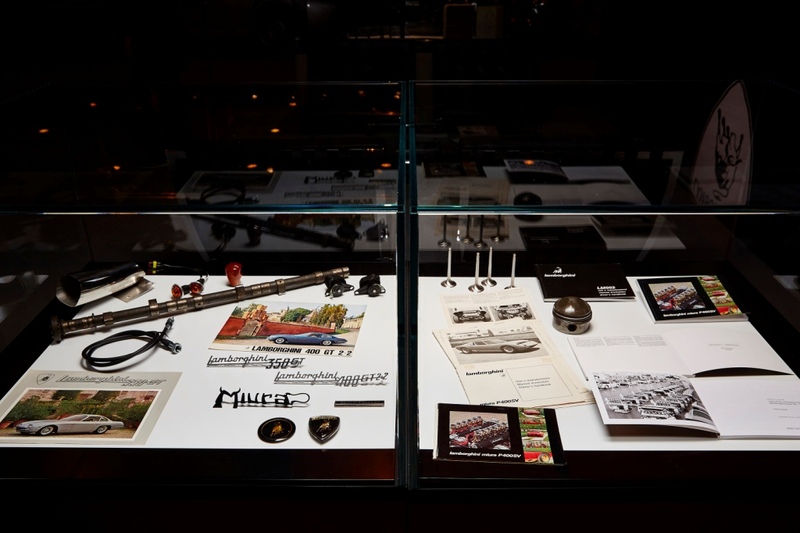 Safeguarding the historical heritage of the House of the Raging Bull, Lamborghini PoloStorico’s activity focuses on four key areas: restoration, archive management, certification, and supply of original spare parts through the Lamborghini aftersales department and dealer network, aiming to preserve a classic car’s value. Lamborghini boasts a spare parts warehouse that covers more than 70% of classic Lamborghini model car parc, with supply of additional components on request. 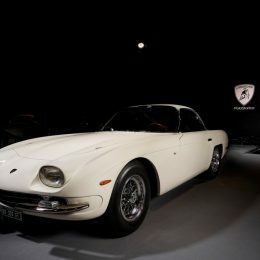 Following the presentation of the 350 GTV prototype at the Turin Motor Show in 1963, the Lamborghini 350 GT made its debut at the 1964 Geneva Motor Show, definitively launching the Lamborghini brand to the world market with a GT model. The 12-cylinder aluminum alloy engine of the 350 GT, an evolution of the GTV prototype, was adapted for a sophisticated and demanding clientele, delivering 270 HP from its 3464 cc power plant. 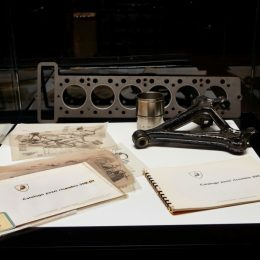 The five-speed ZF gearbox, Salisbury differential, and independent four-wheel suspension with Girling brakes were housed in an aluminum body. 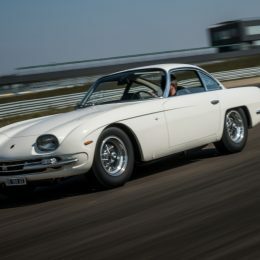 Initially produced with a dry-sump lubrication system, this was later replaced with a wet-sump system in recognition that the high performance 350 GT was designed for the road rather than the race track. The car was redesigned by the prestigious company Carrozzeria Touring, maintaining the lines and character of the GTV prototype originally proposed by Franco Scaglione: elegant but at the same time aggressive. 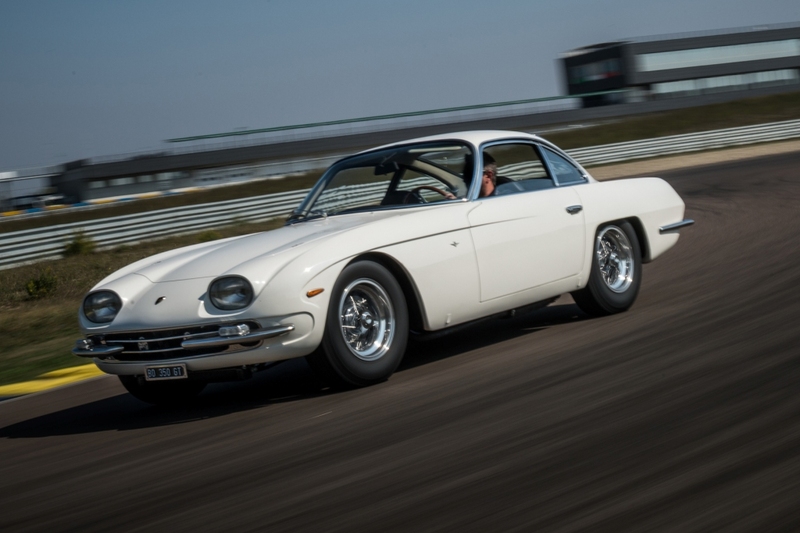 Many enthusiasts still consider the 350 GT to be the most elegant of all Lamborghini creations.